It was reported that over a dozen armed bandits dressed in military claiming to be former FADH military have terrorized the population of Arcahaie today. 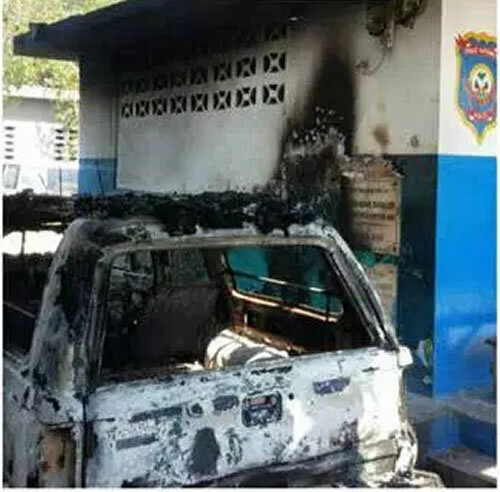 According to witnesses, they burned Police Station in Saint-Medard and also took the opportunity to rob a credit Union in the same area. 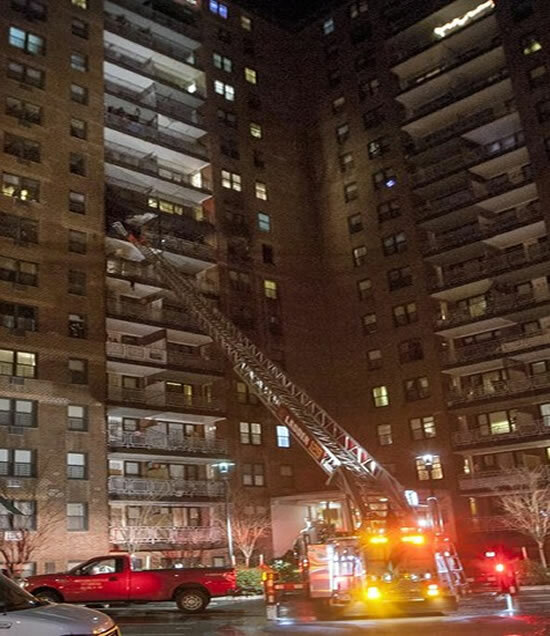 A kitchen fire erupted at 11:45 p.m. in New York City's Elmhurst neighborhood, killing a Haitian couple and their cousin. 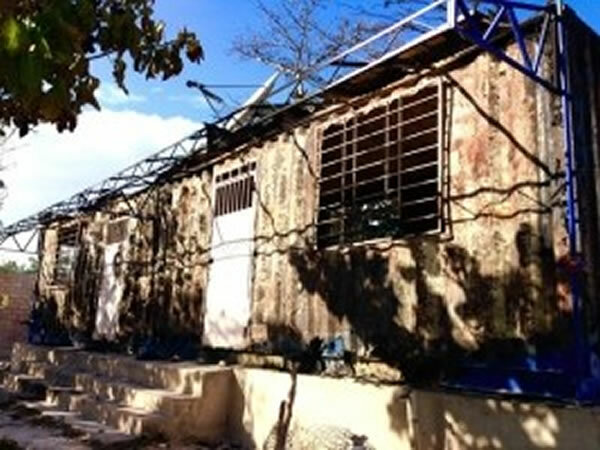 Louise Jean-Charles, 59, and her husband Napoleon Michel, 69, became trapped inside their apartment. By the time fire crews arrived and rescued them, all three had suffered cardiac arrest. The incident began when a pot of soup not attended to ignited a fire, quickly spreading to the dining room, living room, hallway, and bathroom, ending in the back bedrooms. When the firefighters entered they discovered the couple in the bedrooms. The cousin, Nadia Donnay, 37, was found jammed behind the door of the apartment. The three, who might've survived, could not be reached immediately because firefighters had to fight the blaze in the rooms leading to the bedrooms first. 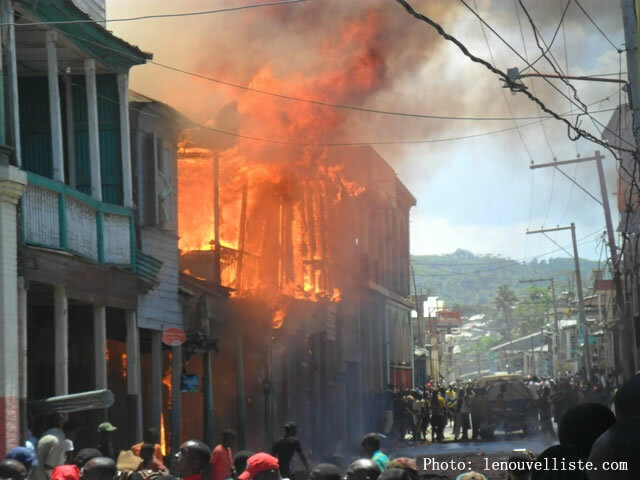 Here is a picture from a fire at the Historic Center in the city of Jeremy.